Allegheny Community Center, TAWC Building, 42 Clark St. 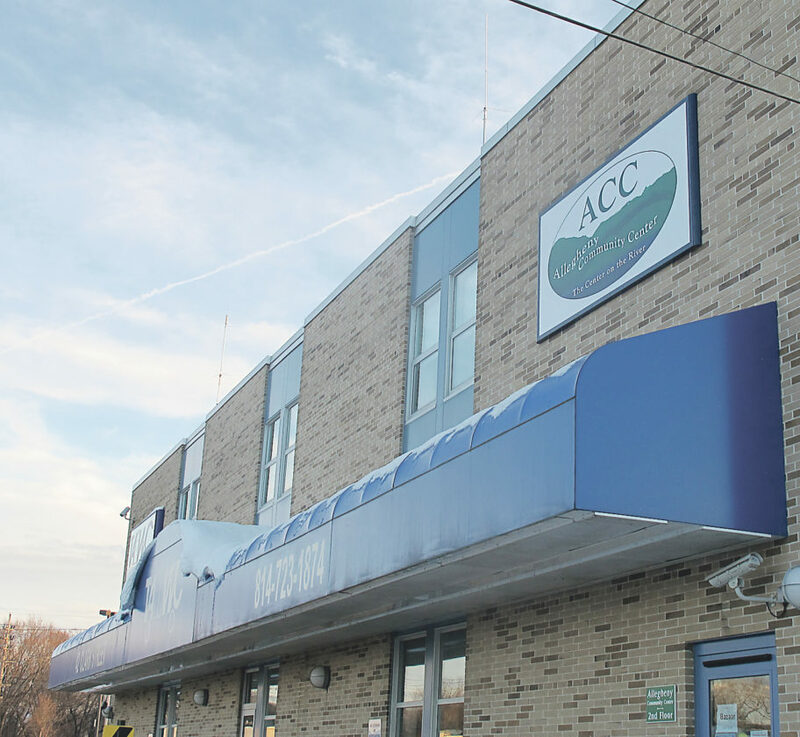 The Allegheny Community Center is staying home. The ACC announced on Tuesday that they will be staying in the TAWC building. Experience, Inc. Executive Director Danell Sowers, commented, “The ACC is a beautiful center and TAWC has been a wonderful partner the past six years. Through that strong partnership, and a great deal of understanding from TAWC, they have been able to come together on a plan for the ACC to remain in the TAWC building. Due to budget constraints that plan does include reducing the amount of space that is currently utilized. Effective July 1, the ACC will occupy the dining room, kitchen, recreation room, and several office spaces. In addition, the ACC will have to decrease its days of operation to four days a week and will be open Monday through Thursday. The center staff is working to schedule activities to accommodate the new space constraints and reduced days of operation. All these changes will become effective July 1, 2017, with more details announced closer to that date. Community members are encouraged to visit the center located at 42 Clark Street in Warren and to participate in the array of healthy lifestyles programming that is offered for people 50 years and older as well as those with disabilities under the age of 50. Center information is also available online at www.alleghenycommunitycenter.com where you can find activities listed in the Voice of Experience Newsletter which is posted monthly.